After its rudimentary beginning in 1749, fur farming in Alaska rose and fell for two centuries. It thrived during the 1890s and again in the 1920s, when rising fur prices caused a stampede for land and breed stock and led to hundreds of farms being started in Alaska within a few years. The Great Depression, and later the development of warm, durable, and lightweight synthetic materials during World War II, brought further decline and eventual failure to the industry as the postwar economy of Alaska turned to defense and later to oil. 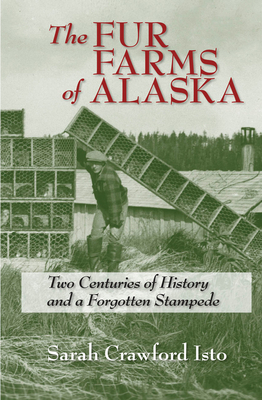 The Fur Farms of Alaska brings this history to life by capturing the remarkable stories of the men and women who made fur their livelihood. Sarah Crawford Isto was born and raised in Fairbanks and practiced medicine in Juneau for twenty years. Now retired, she continues to live and write in Juneau. She is the author of Good Company: A Mining Family in Fairbanks, Alaska. economic history, those who are interested in the fur industry, and those with antiquarian interests in Alaska’s rich history."